Work on a test prep strategy: Determine which test or tests you plan to take by talking to your guidance counselor and taking a practice SAT and ACT test, then come up with a plan. Consider the test prep choices available to you, including independent study, review books, online programs and group classes at your high school, local library or community center. If you plan to work with a tutor, ask your friends and classmates for recommendations. Your teachers and guidance counselor may also have suggestions. Devise a testing schedule: Look at the SAT and ACT test dates and registration deadlines for the upcoming school year and plan which dates work best for you. Make sure to avoid conflicts with any personal or family obligations. Start your personal profile: List your extracurricular activities so far, including clubs, athletics, community service, work and summer experiences. Jot down awards and competitions in which you’ve participated. Keep your list up to date because you’ll need to provide this information on your applications. Think about what you enjoy doing outside the classroom. Are there any activities you’d like to deepen your commitment to and are there any new things you’d like to get involved in? This summer is a great time to start getting involved. Create a Common Application account: The Common App is available if you would like to take a first look. Once you open your account, any information you fill in can be saved. It’s early but if you choose, you can begin with items such as your personal information and extracurriculars. Research schools: Talk to those who’ve been through the college process recently, such as your friends and family. Your guidance counselor is a great resource and can point you in the right direction. Buy or borrow from the library, a college search book to get basic admissions facts and student feedback. Start your online research by reviewing school websites. Look through the admissions and financial aid sections and explore academic programs, course offerings and majors. Read about clubs, activities, special events and athletics and use the virtual tour tools. 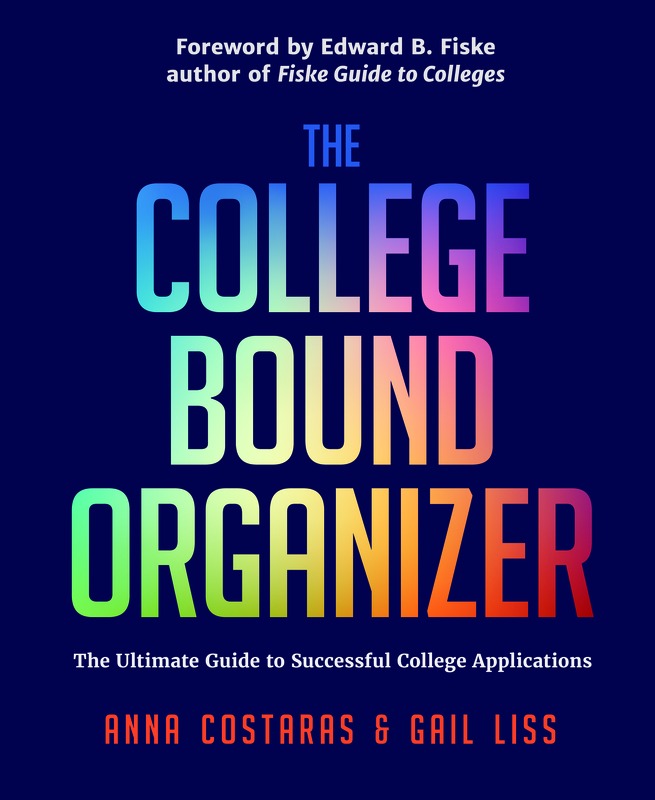 Use the many online websites available and follow college bound blogs for helpful information and resources. Familiarize yourself with the different types of schools— urban, suburban and rural; small, medium and large; public and private; and liberal arts and research oriented. Summertime campus visits can help you get a good feel for the school. Do something interesting: Work. Intern. Volunteer. Read. Travel. Take a class at a university. Participate in a research project. Summer is the time to explore your interests and to have new experiences! This entry was posted in Bound To Organize, Researching Schools, Testing, Your Profile and tagged application process, Common App, research, testing. Bookmark the permalink.